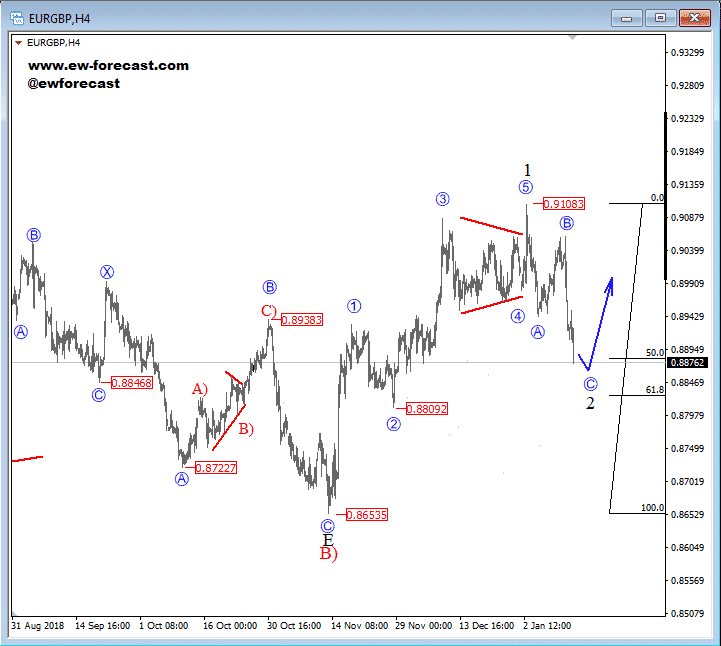 EURGBP has unfolded a five-wave rally within wave 1, as part of a bigger, bullish impulse. 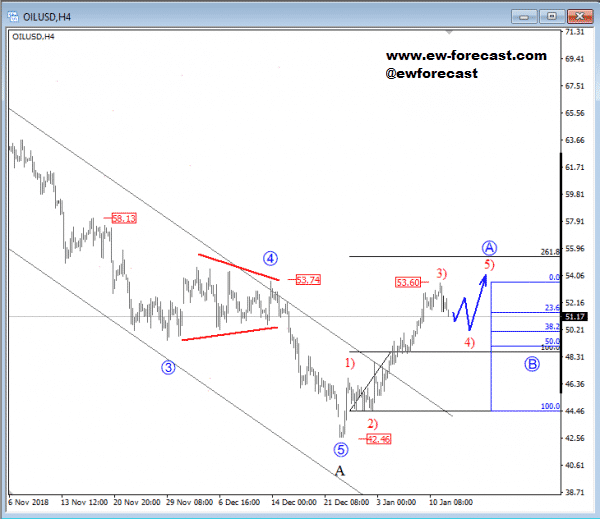 We can see that sub-wave v of 1 found a top at the 0.9108 level, from where price started dropping. Price can now be unfolding a temporary three-wave correction, which can look for support and a bounce near the Fibonacci ratio of 50.0 or 61.8(0.8893/0.8840 area).